Meet at Mission! Work at Mission! 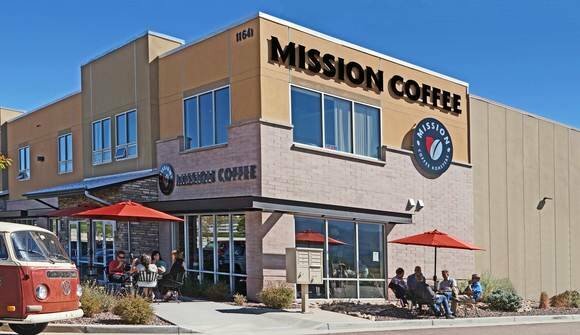 Mission Coffee Roasters Inc. is Colorado's premier coffee roaster, coffeehouse, and co-working space. 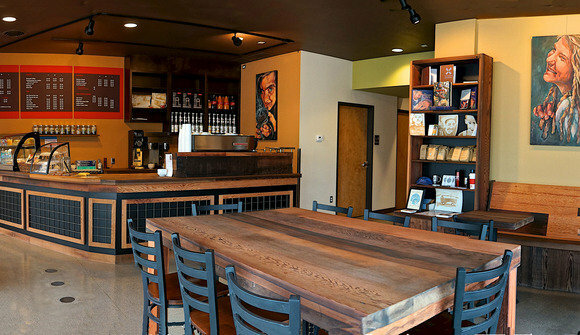 We offer both private and semi-private meeting space and co-working space in a comfortable and casual office environment above our coffeehouse and roastery. 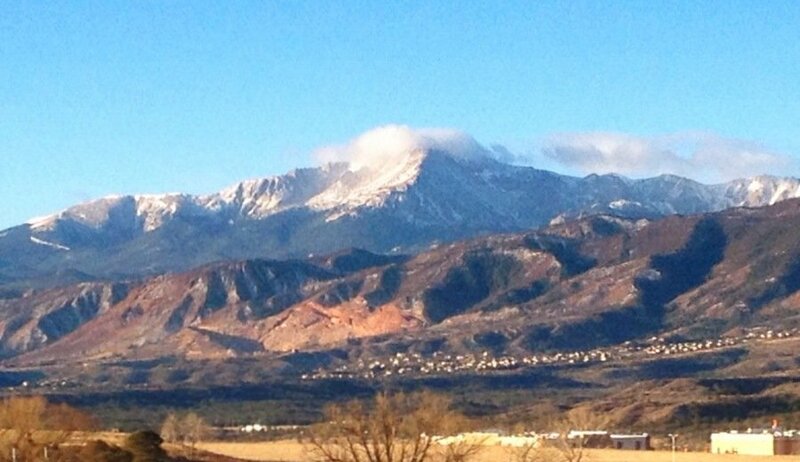 The views from the private space include Pike's Peak and the Air Force Academy. 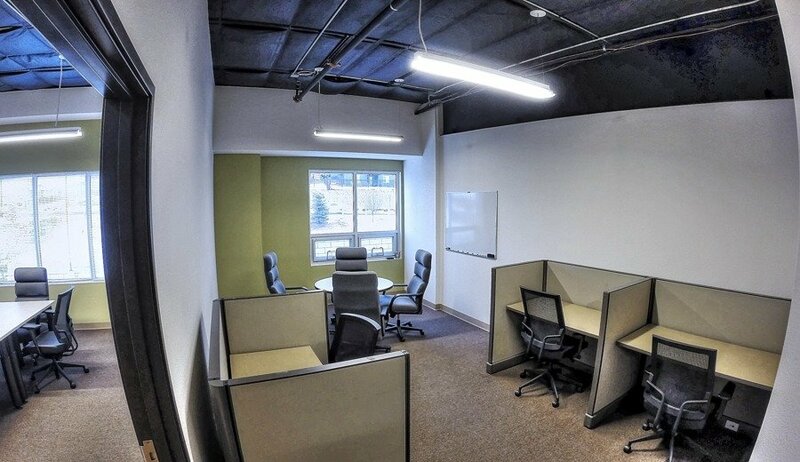 A truly beautiful space to think, to work, and to meet. The private room offers 55" flat screen monitor, white boards, and a modular conference table that breaks open to form training tables. The semi private casual work space offers your choice of three Herman Miller workstations, or a 4 person Executive Table for casual meetings. Comcast for Business High Speed Internet is fast and free. 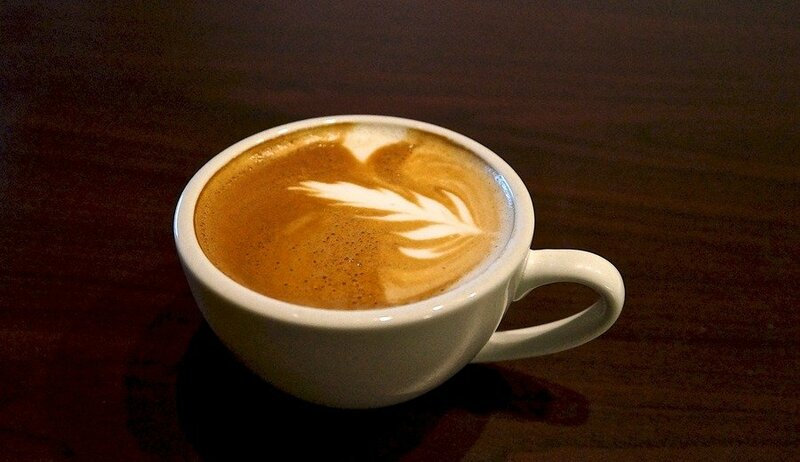 Delicious fresh roasted coffee, espresso beverages, and house made sandwiches are available down stairs. Use us by the day, the hour, or more. Use a workstation part of the day then move to the Exec Table for client meetings. 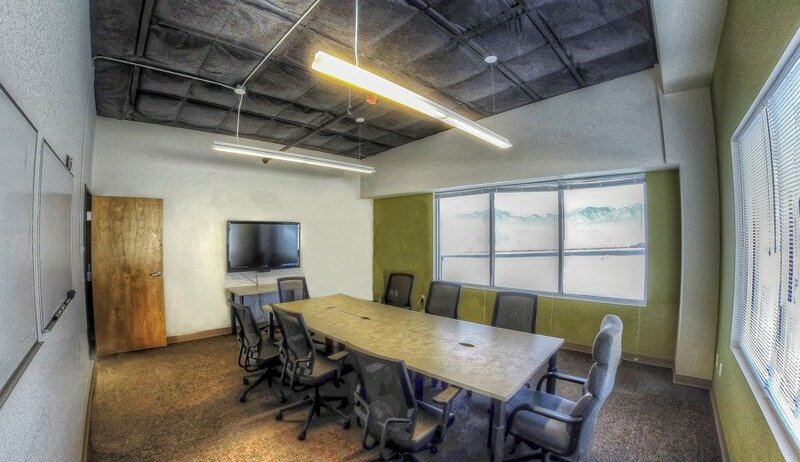 Many corporations and non-profits regularly use the private conference room for offsite and team meetings so please book early as competition for the space is fierce with repeat users who love the space.